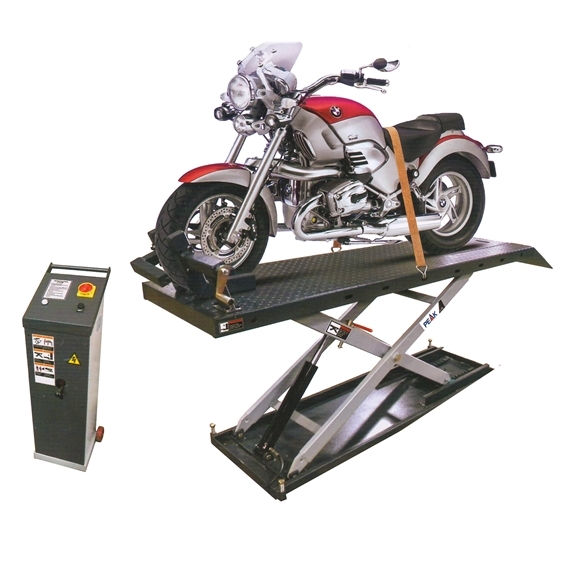 This motorcycle lift is the latest addition to the Peak range. Made my Peak in China and manufactured especially for the European motorcycle market.This motorcycle lift has been designed with many innovative ideas such as the automatic safety lock activating device, removeable rear wheel panel and adjustable front wheel vice. 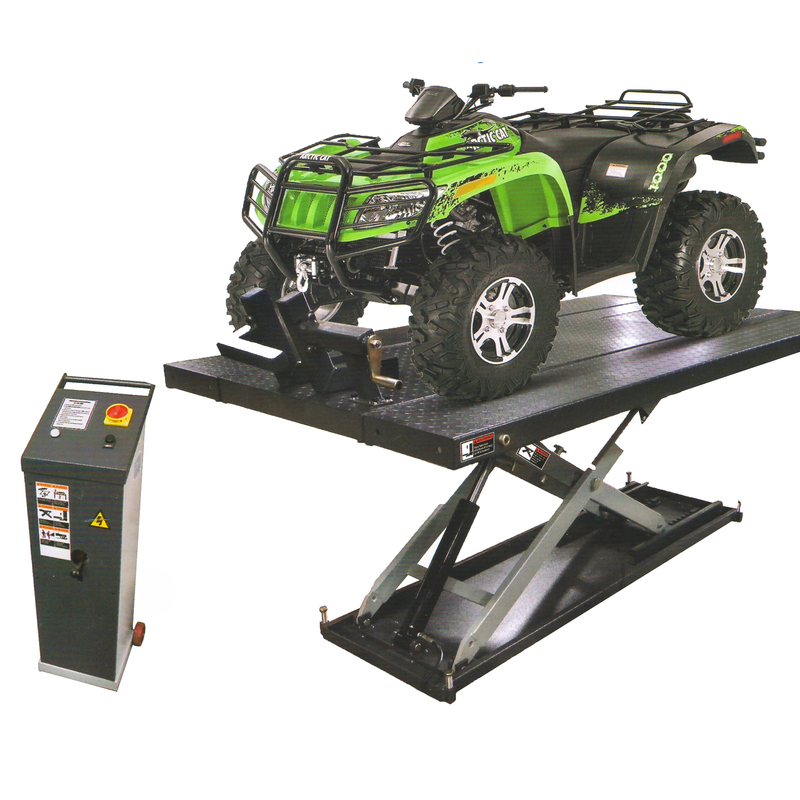 The additon of the optional extension kit allows the lift to take an ATV. The approach ramps are quick to remove. Delivery is extra, website orders are collection only. If you require delivery you will need to call us beforeplacing your order to confirm the delivery charge. For delivery within the UK we will need your UK POSTCODE so we can obtain the cheapest rate for your address. 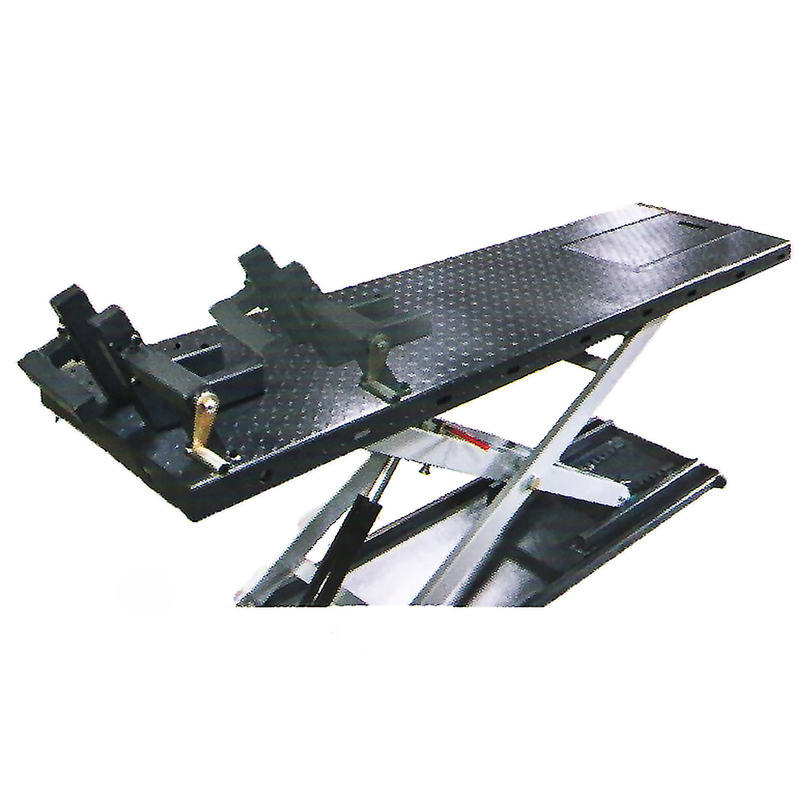 We can obtain freight cost for overseas/export delivery if required. Remember that this is a large heavy item. 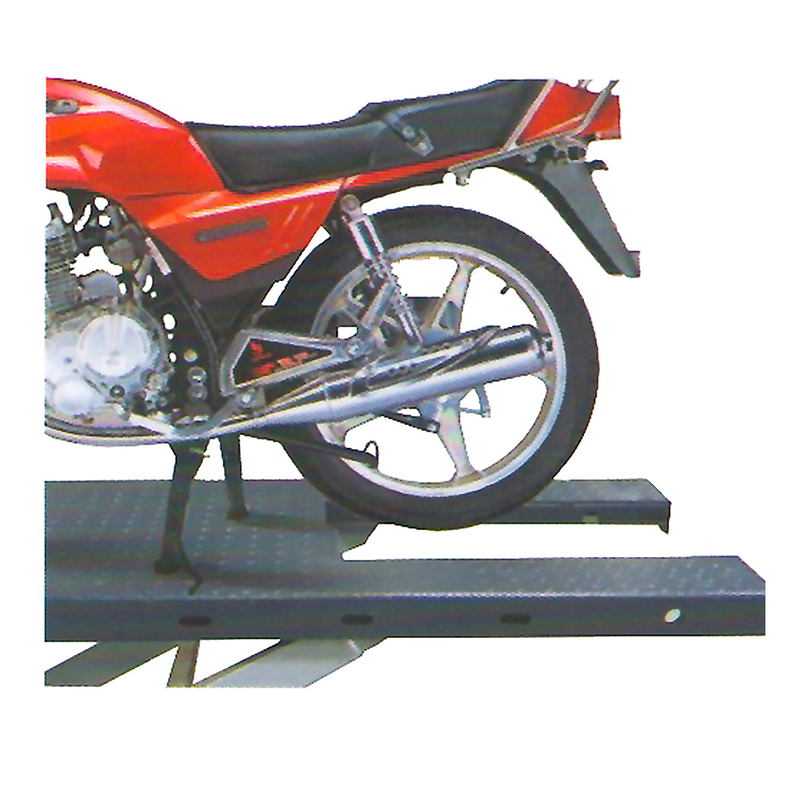 All our deliveries are made by companies who have tail lifts, craned vehicles or forklifts to enable ease of unloading. When collectng from us we have a forklift available to help with loading. Please note: If you order from the website without getting a delivery quote we will assume that you want us to collect the item from us. You will still need to phone us to confirm a convenient collection time and pickup details.